Laura Mercier : 20% Off & Free Shipping with ANY order. 6/24/-6/26. 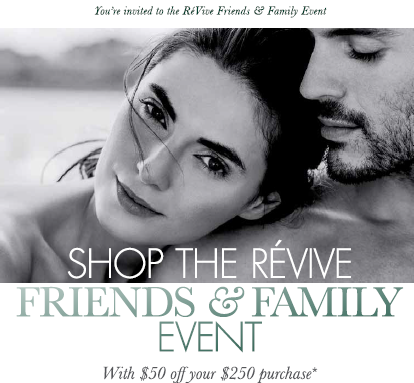 REVIVE: $50 Off Your $250 purchase + Free Ground Shipping. 6/24-6/26. *NO Affiliate Links have been provided.